A simple, pureed dish of grilled eggplant, fried lightly with an egg, sprinkled with coriander and lime juice. It’s simple, easy, and delicious on toast or as a side with rice. 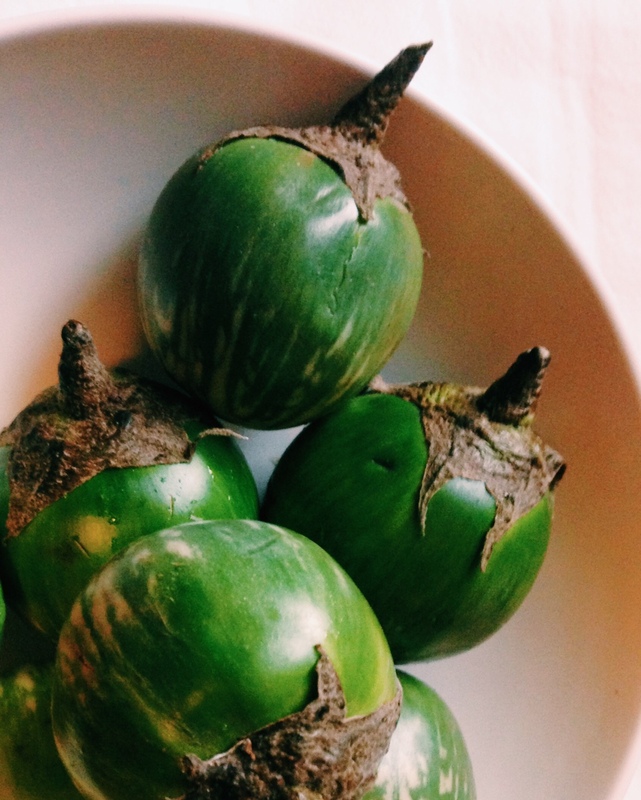 I used these interesting round, green asian eggplants that have a very mild flavor, but are also full of small round seeds, which add another textural component to the dish. 3 medium asian eggplants or 1 large Mediterranean eggplant (about one pound). If you use a Mediterranean eggplant, it will need to be salted and soaked to remove bitterness). 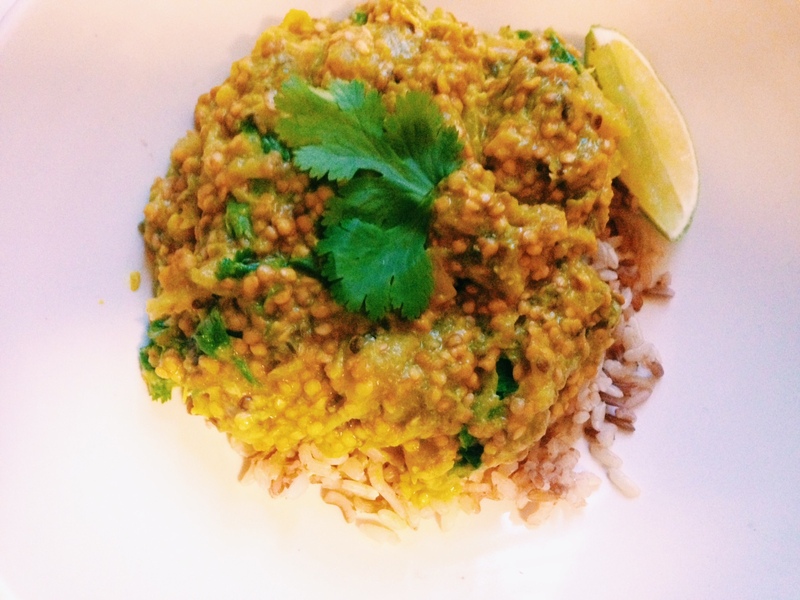 This recipe comes from Burma: Rivers of Flavor by Naomi Duguid . 3/4 tsp. salt, to taste. While it may be tempting to skip the lime and cilantro, please don’t. They really make the dish! Prick the eggplants with a fork, and place them in an oven-safe dish, roasted at 450 until the skins collapse and the eggplants are very soft. Slice the eggplants open and scoop the flesh into a bowl, then smash well with a pastry cutter or fork. Stir in the egg into the mixture well, until the yoke completely separates. Heat the oil in a wok, then add the oil, and stir in the numeric. Add the chili and shallot and cook, stirring constantly, for about 15 seconds. Add the eggplant mixture and continue to stir, scraping the sides and bottom of the wok, and keeping the eggplant mixture soft and smooth, for about 1 minutes. Add the salt, stir, taste, and add more salt of necessary. Turn the eggplant into a shallow bowl, top with cilantro and a healthy squeeze of lime juice.